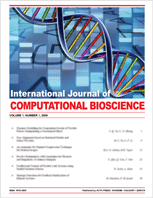 This Journal is an Open-Access Journal. All authors are asked to read and agree to the standards outlined in the International Committee of Medical Journal Editors document, entitled Recommendations for the Conduct, Reporting, Editing, and Publication of Scholarly Work in Medical Journals (found here: http://www.icmje.org/icmje-recommendations.pdf). It is our expectation that our authors, in their research and writing, act in accordance with these standards. Each paper, after passing our mandatory plagiarism check, is sent to the journal’s Editor-in-Chief (EIC). The EIC then assigns an Associate Editor (AE) in the appropriate area to manage the peer-review of the paper. The AE invites reviewers with the needed expertise and, when the paper has received 3 reviews, makes a recommendation to publish the paper, request revisions, or reject the paper. The EIC then takes a final look at the feedback of all reviewers and the AE before finalizing a decision on the paper. Papers requiring revisions are given three months to make the requested changes and resubmit, at which point another round of review (under the same AE) will begin as outlined above. After two opportunities to revise the paper, all articles which still are not up to our standard will be rejected. Any paper which does not pass our plagiarism check will not be put forward for peer-review.